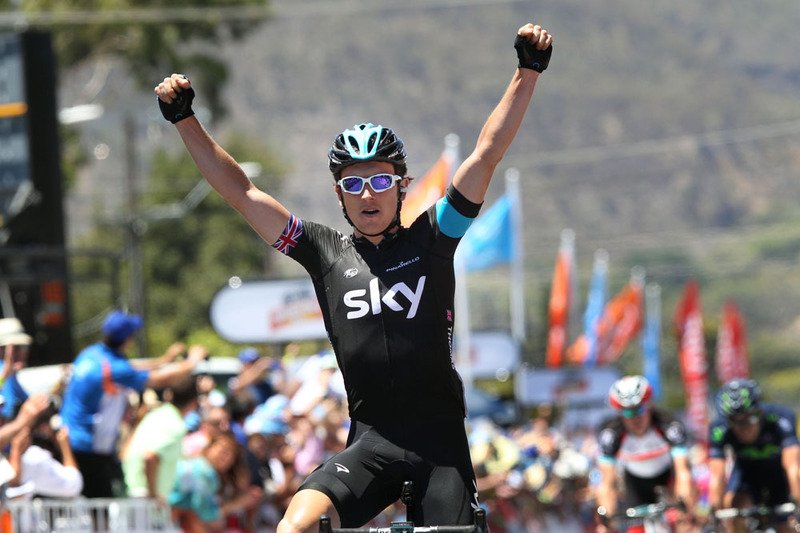 Dual Olympic track gold medalist Geraint Thomas executed two perfect attacks to win stage two of the Tour Down Under today and take the ochre leader’s jersey that he hopes not to relinquish. World champion Philippe Gilbert (BMC) broke his rear derailleur in a pile-up on the descent of the decisive Corkscrew climb some 10km from the finish and, along with defending race victor Simon Gerrans (Orica-GreenEdge), lost more than two minutes. The respective losses are an advantage to Thomas, who has been out in Australia training since late December and, having put his road career on hold last year to focus on the team pursuit at the London Olympic Games, is back and hungry for a title win. “We could see how good he was in December already, and committed. He came out here early so the plan was to go for G,” Sky sports director Kurt Arvesen said. British national champion Ian Stannard (Sky) suffered skin abrasions on his right thigh in the crash that saw several riders treated at the end of the 116.5km stage. Amaud Courteille (FDJ), who sustained a mild concussion, and Giovanni Visconti (Movistar) were transported to hospital for x-rays. A group of four including Chris Juul-Jensen (Saxo-Tinkoff), Guillaume Bonnafond (AG2R La Mondiale), William Clarke (Argos-Shimano) and Calvin Watson (Uni SA – Australia) comprised the early break, which the peloton held at around two minutes before reeling it in with about 20km remaining and prior to the feature climb. Sky, Orica-GreenEdge, RadioShack Leopard and Lotto-Belisol, which had the previous race leader and stage one winner Andre Greipel, positioned at the front of the pack as Greipel set the pace, presumably for teammate Jurgen Roelandts. The attacks began at the bottom of the short but sharp categorized ascent where the peloton started to splinter. Thomas caught George Bennett (RadioShack Leopard) on the snaking road and then surged ahead of the Kiwi to clear the summit solo. Bennett and teammate Ben Hermans, as well as Javier Moreno (Movistar), used the steep descent to catch the race leader but could not match his speed in the flat and straight run to the line where Thomas attacked from fourth wheel and sprinted home. Moreno finished a second behind the Welshman with Hermans third and a chase group of 12 a further three seconds off the pace. “At one point I did think maybe I’d gone a bit early, got a bit keen up that climb, but I managed to just hang on over the top and fortunately there was another little group behind so we worked really well together,” Thomas said post-race. The in-shape Thomas has not ruled Gerrans and Gilbert out of the race ahead of tomorrow’s punchy third stage to Stirling despite their time losses today. “I think they can always get it back tomorrow if the right group goes away,” he said. “There are a lot of other good riders though, it’s not just those two in the race. 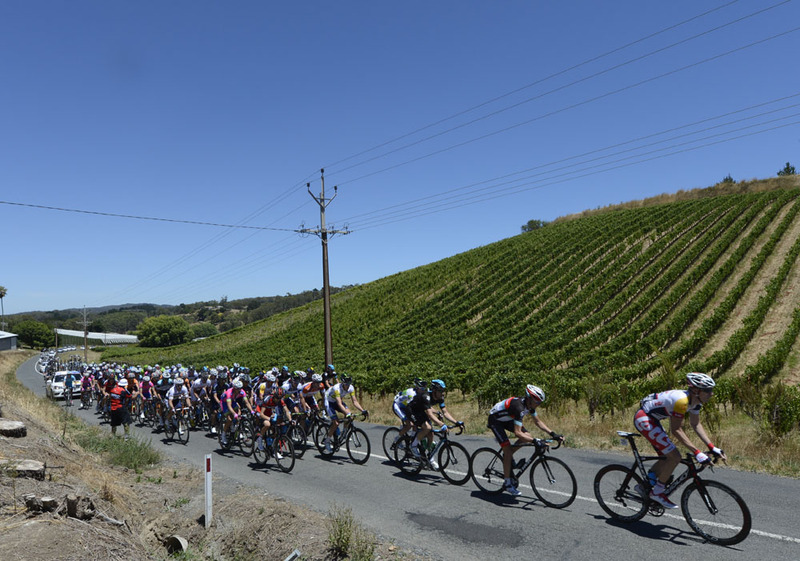 The Tour Down Under continues tomorrow with an undulating 139km race from Unley to Stirling.